Sky Go is one of the best TV streaming services in the UK and in this guide I’m going to show you the incredibly easy steps you can take to watch from abroad. If you’ve got a Sky account and you’re outside the UK for a period, then you’ve probably tried to watch Sky Go and realised it’s not available outside the UK. To watch Sky Go abroad you’re going to need to sign up for a service called a VPN. 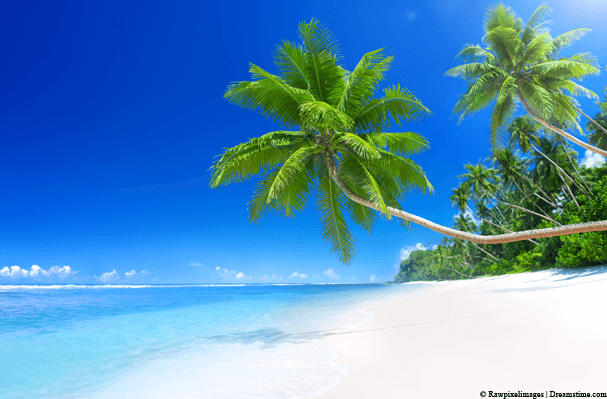 A VPN allows you to route your internet traffic via another location and appear as if you are in that country. For example, if you’re in Australia and you use a VPN, you can appear as if you’re in the UK and so Sky Go will let you watch any content as if you were at home in the UK. To watch Sky Go you need to sign up for a VPN and this will let you use your Sky account to watch from anywhere in the world. A VPN is a small piece of software for your Windows or Mac computer or an app for your Android, iOS device or Fire TV Stick. A good VPN service should cost about $10 or less which is around £5 and the longer you sign up for, the cheaper it becomes. Follow the instructions below to get a VPN and use it to watch Sky Go abroad. Sign up for ExpressVPN by clicking here. Don’t worry there’s a 30-day money back guarantee if you’re unhappy. Download and install their software or app for your desktop, tablet, mobile or Fire TV Stick. You can also alternate between devices. Activate the app using the activation code from the ‘My Account’ area of the ExpressVPN website or login using your account details. Choose the location United Kingdom. Once connected open the Sky Go app and you’ll be able to watch abroad. Rather than be blocked like you were before you’ll be able to stream all the live and catch-up TV anywhere in the world. Or if you’ve got lots of time on your hands then our VPN Comparison Guide compares 18 of the top providers. With your new VPN service you can now watch Sky Go anywhere in the world. This includes full access to Sky Sports, Movies and whatever else your Sky package allows you to access. It’s worth remembering that with the same VPN service you can not only access Sky Go, but you can also access the other UK streaming services such as BBC iPlayer, ITV Player and more. A VPN will also protect your online privacy at the same time meaning no nasty hackers can see what you’re doing online. It sounds complicated, is it? Using a VPN to watch Sky Go abroad takes just a few steps. Even if you’re a novice with technology VPN apps are so simple to use that any skill level can work them. Check out our example video below that shows how easy they are. Every internet connection is assigned something called an IP Address. An IP Address is similar to a phone number in that it’s unique to your connection. When you visit a website, the IP Address helps the website know who requested it and where to send all the bits of data. One of the downsides of an IP Address is they also tell the websites you visit and apps you use your location. From this IP Address, Sky Go knows you’re outside of the UK and so it’s relatively easy for them to block you from watching. Luckily a VPN service changes your IP Address to one from another country and in the case of Sky Go, it changes it to one from the UK which is why a VPN allows you to watch Sky Go abroad. Choosing a VPN for Sky Go can be extremely difficult. When you search Google for the term “VPN” you’re faced with a wall of options and not every provider is suitable for watching Sky Go abroad. Some aren’t fast enough to stream video which will leave you with buffering and stuttering ruining your enjoyment of watching your favourite shows on Sky Go. Others are blocked from even accessing Sky Go. 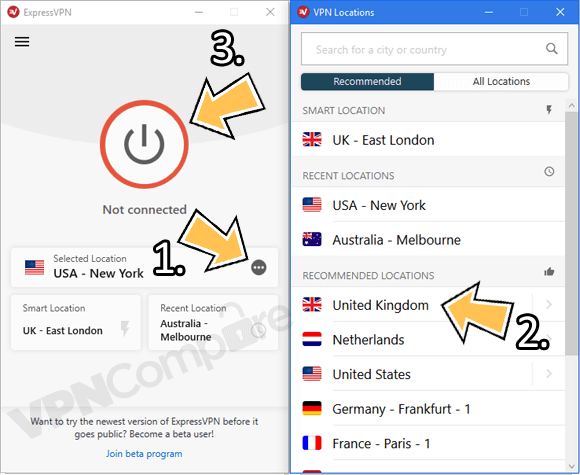 Through my testing I found ExpressVPN to be the best provider because they’re fast, reliable and one of the cheapest available. You can read my latest review of their service to find out what I thought. So now you know how to watch Sky Go abroad why not tell your fellow family members, travellers, expats and anyone else who wants to watch their Sky Go account outside the UK. It would be great to hear where you’re watching Sky Go with your VPN so why not post in the comments section below?